We have a wealth of information ready to share with you. 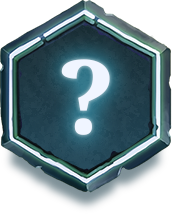 Faeria is free to play, so you can easily discover the game for yourself - and if you have any questions not answered by this page, please get in touch any time! 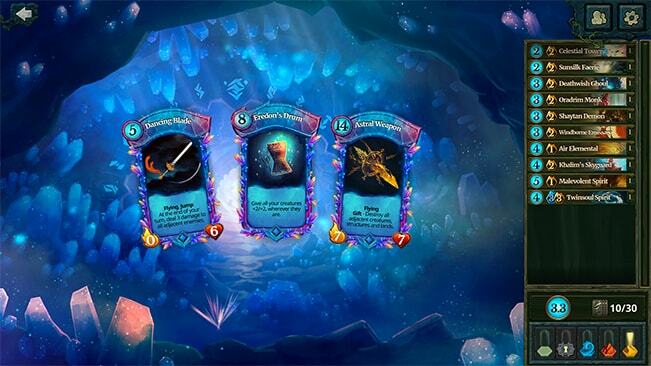 Faeria is a Steam exclusive One-time purchase Card Game for PC, Mac and Linux..
• ESRB (pending): T for Teens, USK 12+, PEGI 12. Following a successful Kickstarter that gathered more than 3,500 backers in 2013, Faeria was revamped to make it closer to our vision of “easy to learn, hard to master”. 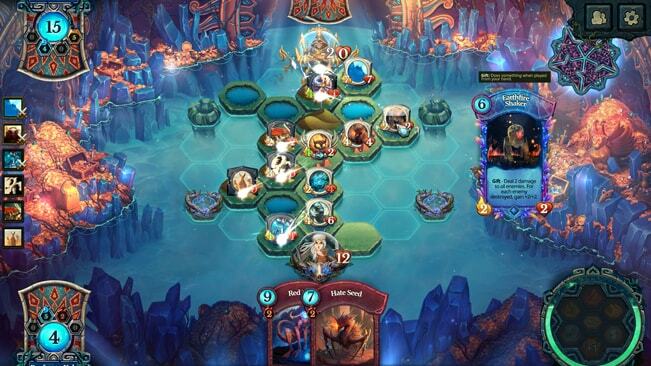 Faeria is the next generation of card game. 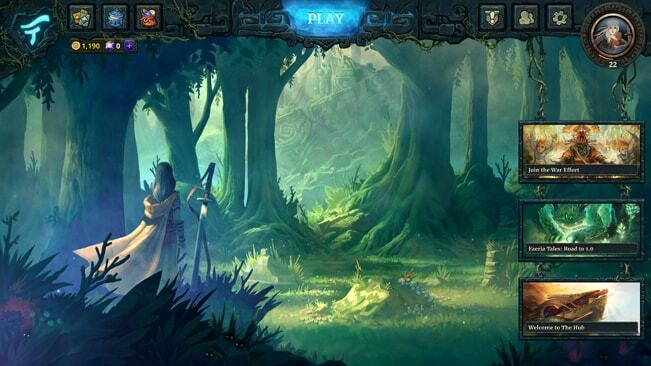 Faeria's gameplay combines core Card Game values together with what we call a “Living Board”. 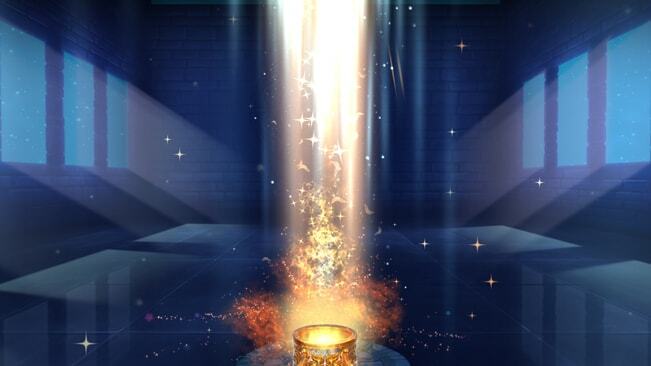 This gives our players the ability to shape the battlefield as they play, fostering a prime environment for a wide variety of mind-blowing strategies and tactics. 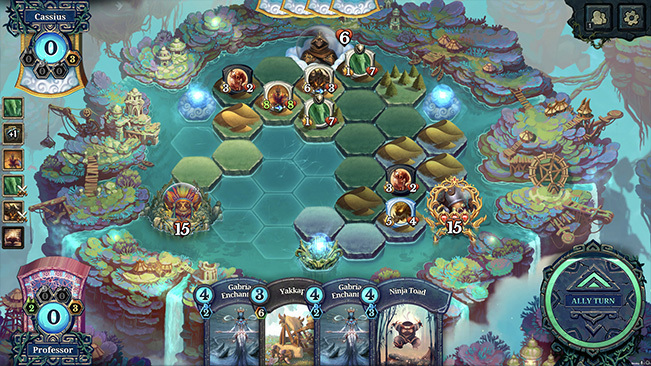 Each game of Faeria is not only unique, beautiful, and fast-paced - but also highly competitive. After a year in Early Access, Faeria's release version was launched on March 8th 2017. After years of hard work, dedication and love, Faeria has evolved into the game we always knew it could be! On August 7th 2017, Faeria's first expansion launched. The Adventure Pouch: Oversky introduces a unique new co-op mode, to be played with friends or with an AI ally, as well as 33 brand new Oversky cards featuring new mechanics, and more! On July 18th, 2018 we introduced the Fall of Everlife expansion which includes 40 new cards, new mechanics, tribal synergy, and a revamped economic model! At Abrakam we are PC gamers first, and we are driven by bringing high quality strategy game experiences that everyone can enjoy. What could be better than creating the game we want to play ourselves, but provide it for a huge audience? 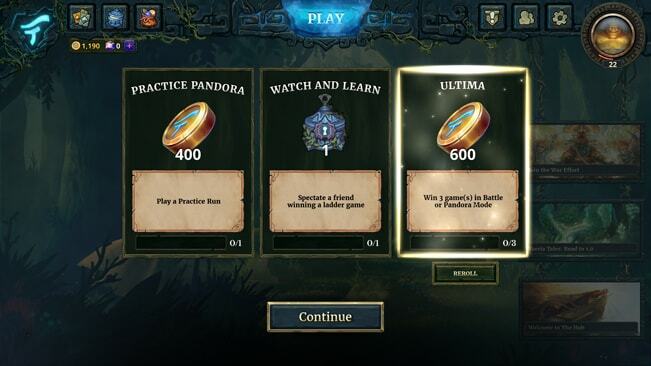 • Avatar customization, cool emotes, cardbacks, and more! STILL TO COME.. Faeria's 1.0 version, was already the polished game we always wanted to present at the end of Early Access. With our subsequent expansions, The Oversky and Fall of Everlife, Faeria is now even better than ever before! However our work is far from over... we have big plans for the future of Faeria, and won't stop working on adding more features and content. We will always keep listening to our community and deliver more content our players want. After all, they helped us get where we are now. We'll keep listening, improving, and surprising everyone! It all began with two of our founders, Jean-Michel Vilain, a game developer, and Martin Pierlot, a graphic designer, who started working on Faeria as a side project in 2005. By June 2013 Abrakam was formed, with Jen Berger and Olivier Griffet having previously joined the project, launching a successful Kickstarter campaign following in September that year. This Kickstarter campaign funded the next year for Abrakam, before going through a seed round of over €1mm at the end of 2014 - on top of investment from two Belgian public funds, this round was lead by tech investment fund The Faktory. 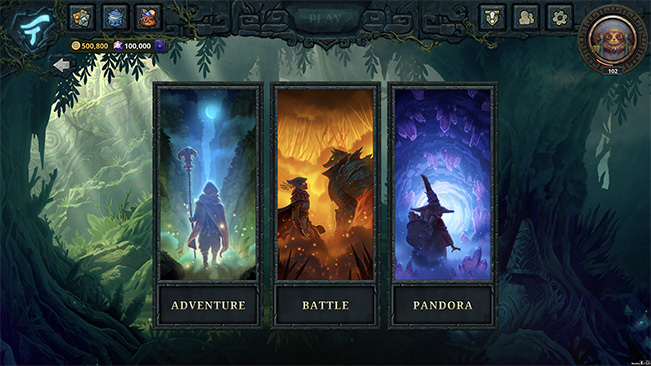 This funding allowed the team to aim for higher expectations of Faeria than could be met using the original Flash-based MVP, and so began a rebirth of the game: a new development on the Unity engine that would allow us to support multiple platforms from the same codebase as well as scale our team up more quickly and efficiently. 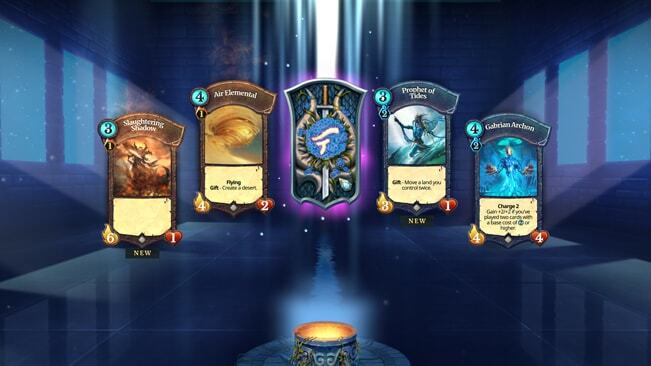 The inspiration for Faeria came primarily from physical card games, with the founders wanting to create a digital game that they enjoyed as much as the original Magic The Gathering physical game. 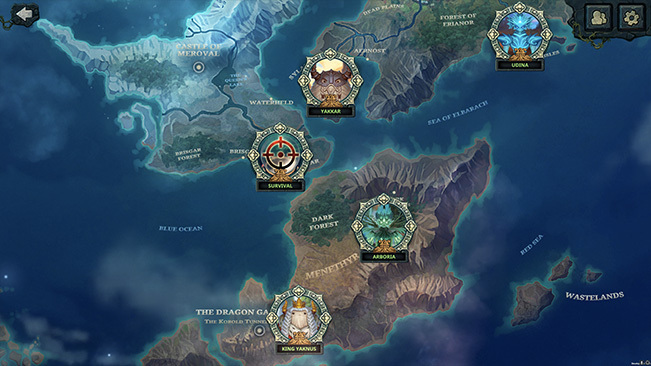 However, while Magic's influence on our game is undeniable, Faeria looks to introduce many unique elements above and beyond traditional CCGs, from intricate gameplay aspects to obvious key features such as our unique Living Board concept, where both players shape the board on which cards are played as the game progresses. The synergy between card and board game genres gives Faeria multiple interweaving layers of strategy - no two games look the same as each other, and low levels of randomness ensure that luck is always overshadowed by player skill. our Yak Support Team like to help!